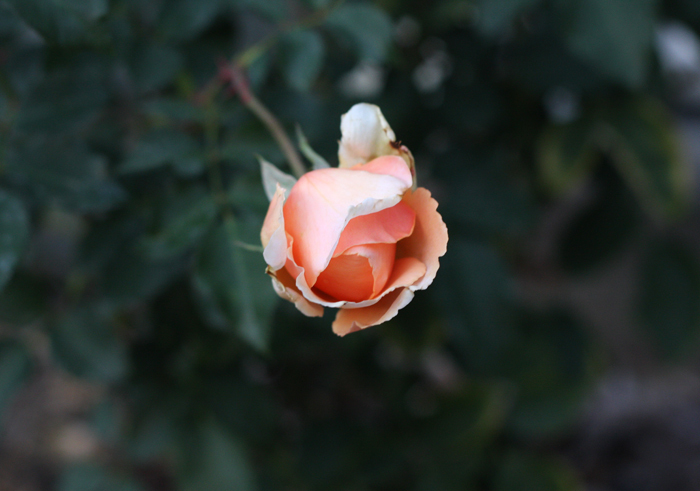 Our neighbor has a rose garden that I walk by every morning. Earlier in the year she had some beautiful English roses that seem to be done blooming now, they're one of my favorite flowers and I love these shades of coral. stunning photo, jennifer!! the colors are breathtaking. that color rose is the most beautiful ever!! !